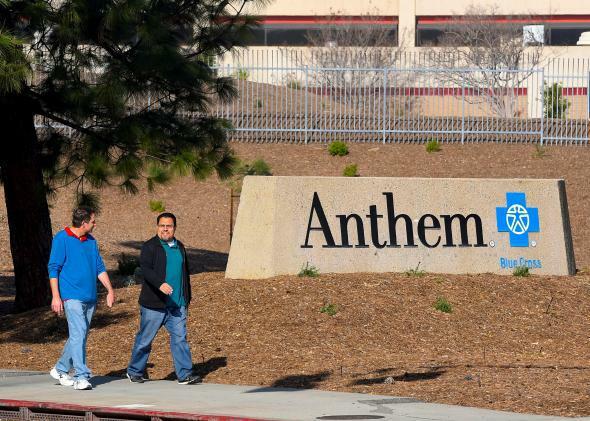 Anthem says it supports parts of Trumpcare. They’re into Trumpcare—it’s just unclear how much. Anthem has previously said that it might bail on the Obamacare markets in 2018, so this letter doesn’t come as a great shock. It’s also worth noting, as Politico does, that Anthem has been trying to win approval from Washington to buy up its rival, Cigna—which suggests it has some incentive to play nice with the administration. In short, health insurer Anthem is very much in favor of the provisions that would be obviously beneficial to the health insurance industry. “These provisions are essential and must be finalized quickly,” Swedish writes. Does this mean Swedish backs everything in the bill? It’s hard to tell. The letter never says anything clear-cut like: “We would like to see the current incarnation of this legislation pass.” And the CEO is silent on one aspect of the bill that’s worried other insurers and the industry’s major lobbying group—the elimination of Obamacare’s requirement that Americans buy insurance or pay a tax penalty, which Republicans would replace with a much weaker provision. Swedish also says Anthem is still “thoroughly reviewing and evaluating the legislation further to better understand the changes to both the Individual market and the Medicaid program.” But in the meantime, the company apparently likes Trumpcare enough to write a mostly supportive letter, and maybe win itself a little goodwill and influence in the process. Someone had to cheer for this thing, eventually.